Are all vegetables born equal? The majority of people know that eating fruits and vegetables is very important. Vegetables are essential to our health because they are whole foods, created by nature and are rich in large amount of nutrients. The processed foods that we so commonly eat, can never compare to the health benefits provided by broccoli or carrots which have fiber, vitamins, and enzymes built right in. By eating variety of vegetables, one can get the best all-around health benefits. Different color vegetables contain unique health components that are important to our health. Green vegetables contain chlorophyll (a protein compound that aids in creating healthy red blood cells), fiber, folate, vitamin C, calcium, and Beta-carotene. The nutrients found in these vegetables reduce cancer risks, lower blood pressure and LDL cholesterol levels, normalize digestion, support health of our eyes and vision, and boost immune system activity. Green vegetables have fewer calories, less sugar. They are cleansing and provide light uplifting energy. They are good throughout the year but especially during spring – natural time for body cleansing after winter when our system was collecting and storing to keep us warm. G-d created people in balance with the nature. Signs and hints are everywhere around us. 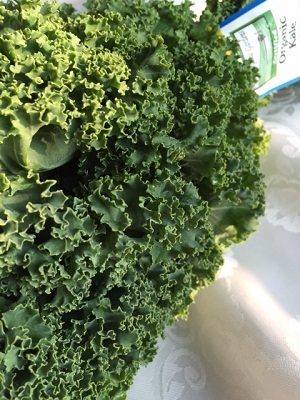 Green leafy vegetables grow during the spring. Spring is the first season when nature is awakening after the winter. New green leaves are emerged on trees and bushes, and new green grass covers the land. Spring is the best time of the year to eat leafy greens – arugula, watercress, parsley, bok choy, mustard greens, etc. But even among green vegetables some possess undesired properties. Chard, spinach, rhubarb, beet leaves – are stressful vegetables. They might increase risk of osteoporosis and kidney stones since they contain oxalic acid, which binds calcium and eliminates calcium from the body. Green paper – is one of nightshade vegetables (as tomato, eggplant, red pepper, potato) which is better to avoid. Nightshade vegetables speed up the heart rate and slow down digestion. They are high in alkaloids which block vitamin B absorption. They might contribute to arthritic and rheumatic symptoms. This entry was posted in plant based diet, vegan, vegetarian and tagged digestive system, Green leafy vegetables, healthy food, nightshade vegetables, weightloss food by Chava. Bookmark the permalink. Great write up. I am learning a lot. Please keep going. very interesting ! Will be mindful next time I shop for vegetables. i am learning a lot from you. I tried one of your delicious recipes. It was delightful.